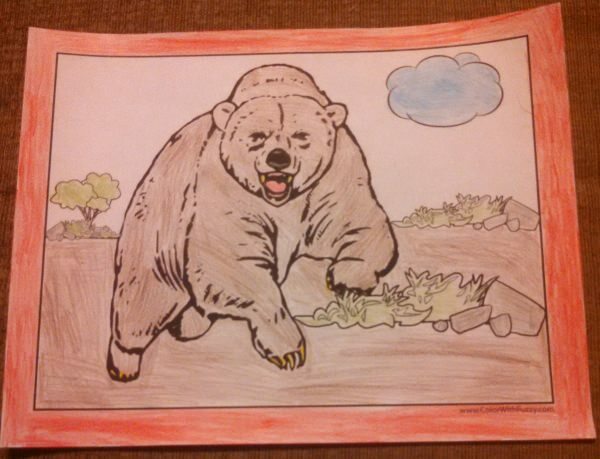 A Grizzly Bear Coloring Page Is Exciting! Pick A Grizzly Bear Coloring Page! Exciting Grizzly Bear Coloring Page! 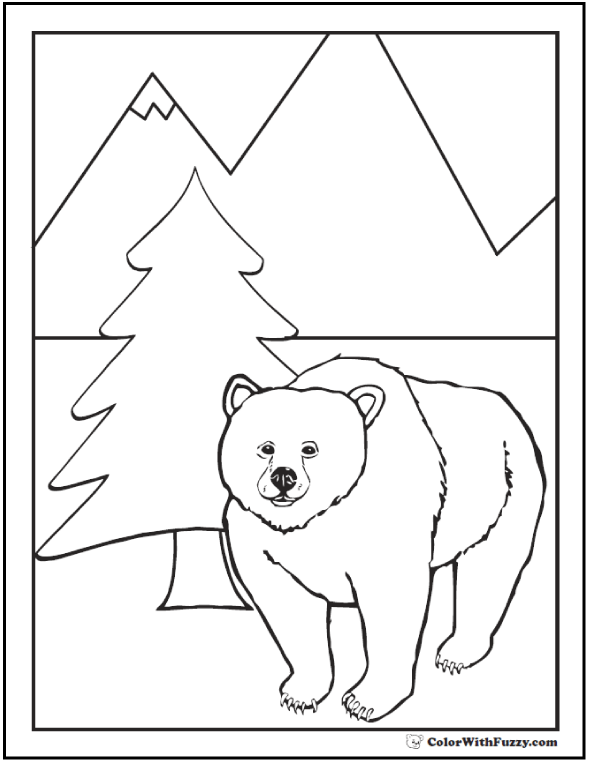 Grizzly bear coloring pages make me think of exciting adventures! Grizzly bears live in the Rocky Mountains and the northwest United States and Canada. They're huge! Even though they're still considered brown bears you can tell them by their size and the hump on their backs, especially the males. The Daddy grizzlies are called boars, the Moms are called sows and the babies are cubs. As fearsome as the grizzly bear is the baby cubs are super cute! Some are realistic coloring pictures and some are growling and ferocious. When grizzly bears are little, they're cute! When they're hungry they're dangerous! It's really neat to see the grizzlies fishing for salmon at the rivers in places like Alaska. Then you'd see lots of grizzly bears! They also eat other kinds of little animals and they love to find berries, fruits, nuts, and tender leaves. Like their cousins the brown bear, the moms dig a cave in the ground that's called a den where they hibernate through the winter. Hibernating is when bears sleep through the winter and do not eat anything. Hm…. I do not think that I could do that! 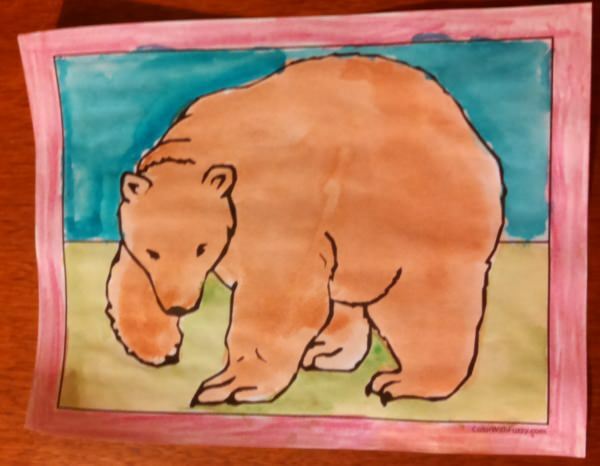 Since grizzlies are brown bears, use your brown colors to color them. Rocks can be gray, brown, beige, tan, or black. And the grass and trees can be different colors of green. 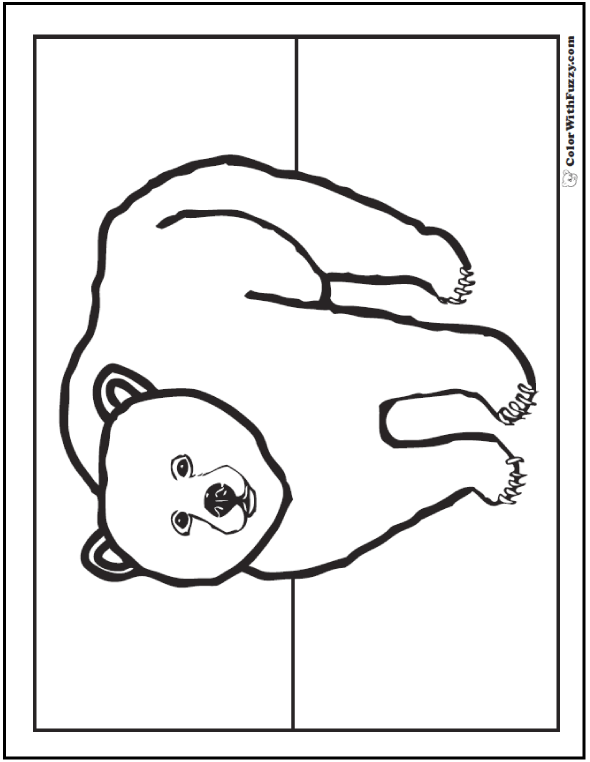 Check out my other bear coloring pages for kids! 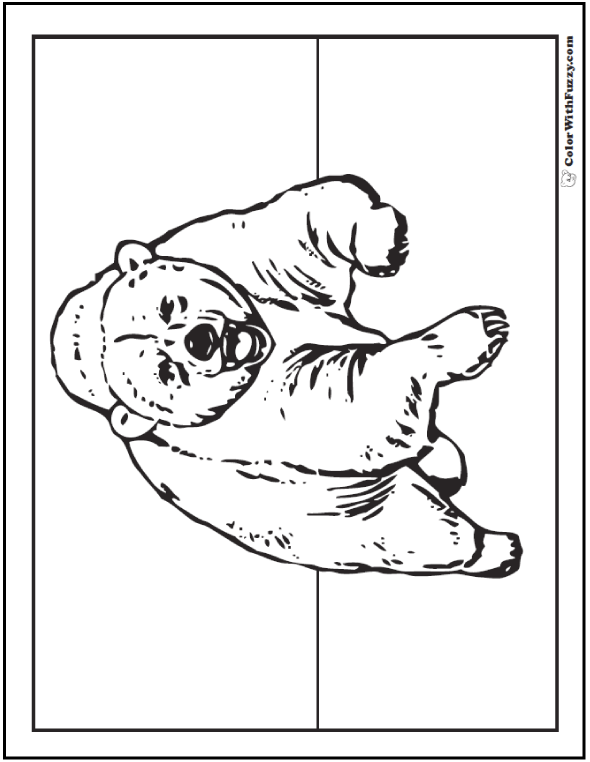 Brown Bears – Our main bear coloring pages. Koala Bears – Koalas live in Australia. Panda Bears – Panda bears live in China. Polar Bears – Polar bears live in the Arctic. 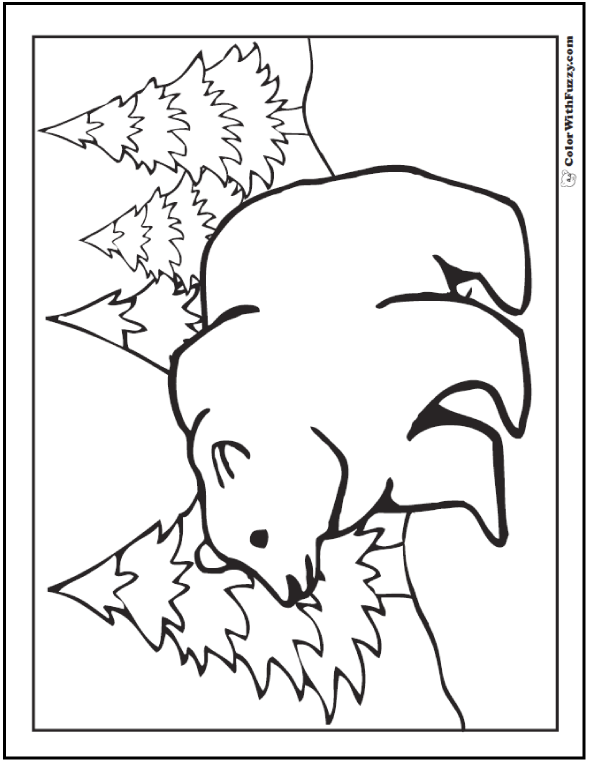 Coloring Pages of Grizzly Bears. Thank you for sharing!